We're giving away a brand new .50 Cal Ammo Can with a Custom Military-Grade Foam Insert! 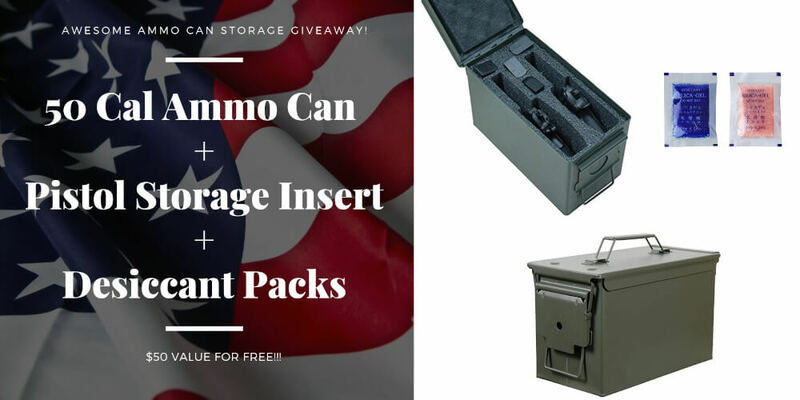 In honor of the birth of one of our Founding Fathers, Thomas Jefferson, we're giving away a sweet all-metal 50 Cal Ammo Can, plus a Case Club pistol storage foam insert (and a 25-pack of desiccant packs to boot!). On April 13th (Thomas Jefferson's birthday), we'll announce the winner of our giveaway! Max length of pistols is 8 5/8"
Foam Dimensions: 11" x 5.625"
Packet Material is Designed and Developed for "Ultimate Moisture Absorption" & "Heat Resistance for Reuse"
Packet Dimensions: 1.9" X 2.9"
PISTOLS IN PHOTO NOT INCLUDED!